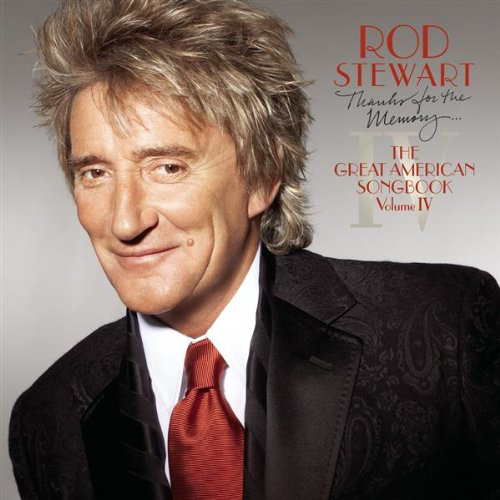 Another October, another album of slick, polished cocktail lounge background music from Rod Stewart. One was ok, two pushing it a bit, three getting irritating, four pretty ludicrous, it has to be said. I am a long time fan of Rod Stewart, sticking with him since I first heard "Maggie May" aged twelve, through those wonderful early seventies rock albums, then the chart superstar ones of the mid-late seventies, through the synthesised pap of the eighties to a partial rebirth in the nineties. Then there was this series, when Stewart re-invented himself (or was re-invented) as a crooner of "easy listening" standards from the golden age of crooning. It was intended to appeal to people who wanted to play it as dinner-party background music (for which it is perfectly suited), middle aged people who like to think they appreciate this sort of thing and younger people who think that these are the original recordings of the songs and, again, think they are being cultured listening to what their grandparents used to like. Whatever their motivation, it was incredibly successful. For me, I found it all rather sad, hearing such a great, often rebellious, rabble-rousing voice and persona doing stuff like this, whatever its doubted appeal. 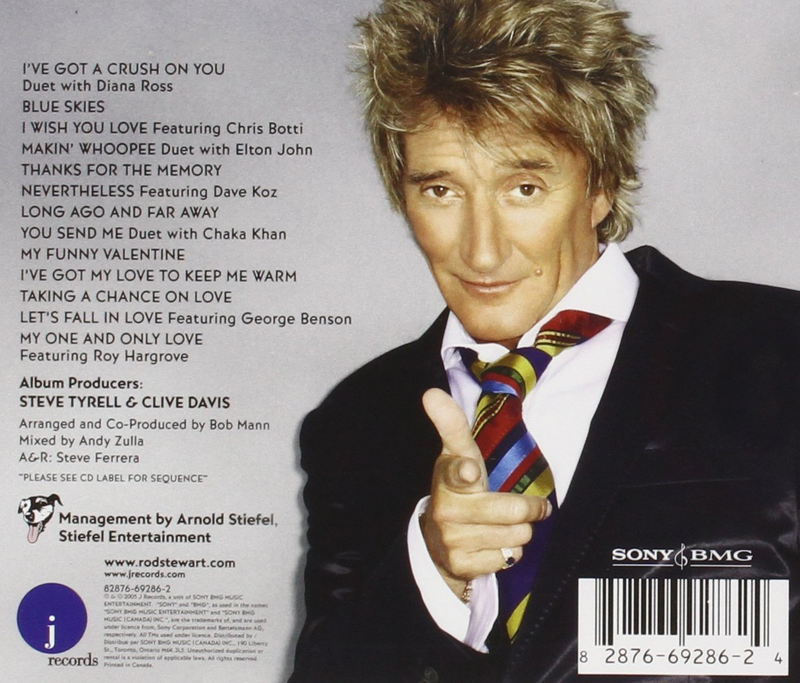 Don't forget that Rod Stewart has produced some seriously good music in the past. Producing material nearly all of which was better in its original form is a bit depressing it has to be said. That said, I have to own up to owning all of the series, and enjoying them on occasions, so my bleating about them possibly falls on stony ground. There are more duets on this one - seven to be precise (four on "3"; two on "2" and none on "1") and it sort of gets Rod off the hook a bit when he starts ad-libbing with his co-singers in a way that he didn't do on the earlier albums. "I've Got A Crush On You" with Diana Ross is pretty cheesy. "I've got a crush on you, Diana..." sings Rod. "You Send Me" with the super-soulful Chaka Khan is great, though and Chris Botti's trumpet on "I Wish You Love" is sublime. However, even though it's all late night listenable just as the first three albums were but I feel Stewart had just produced too many of these albums. He was better than this and needed to get back rocking. Thankfully, eventually he did.